I’ve been pretty quiet on my blog as of late. But I’ve been hard at work in my writing. Last year I wrote a novella, Jessica Wright’s Double Vision, and I’m currently working on two for this year. And guess what? They’re all part of the same series. 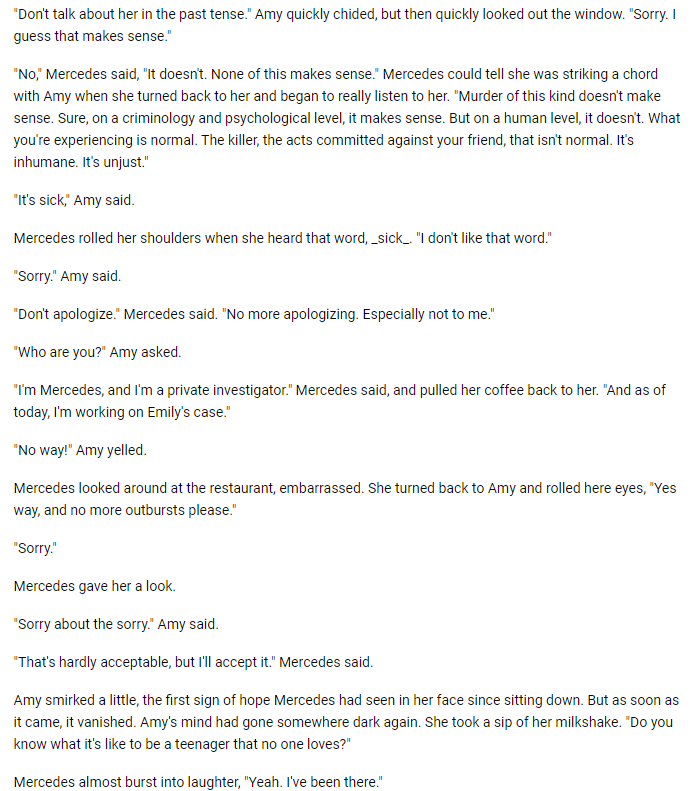 I made a commitment this year to write 2 novellas in a Mercedes Masterson, Private Eye series. The Double Vision novella will likely end up being book 2 or book 3 of the series. I’m currently waist deep in the first novella, which is due June 1. Unfortunately, I’ve fallen behind, after being ahead of schedule up until February where I hit a brick wall (despite having most of it outlined in front of me). I only recently got my groove back, this week actually. Gonna fight hard to beat June 1 or come close. I am roughly 10k words from the end, so close. Super close. 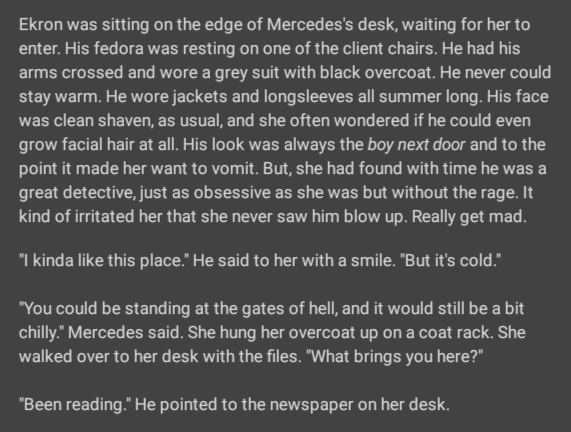 If you like old hardboil, crime, noir, detective, private eye style stuff–you’ll probably like Mercedes and this series of novellas I’m working on. It’s got strong female characters, which I love to write. 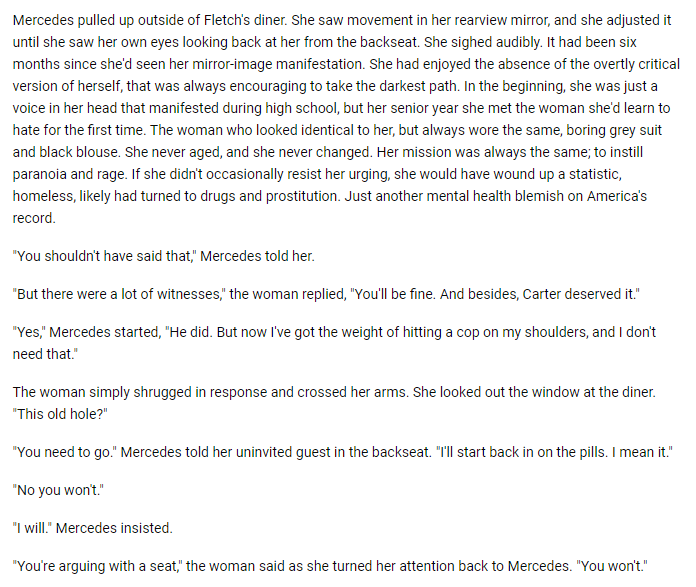 I hope everyone will be as excited about these stories as I am, especially since Mercedes is my favorite character I’ve ever written and I’ve been writing her off and on since 2005. I’ll write again soon with a description and title of the first book. Previous postI don’t get political very often, but when I do… I vote for the opposition. Next postRiptide GP on Android.